A veteran of the commercial real estate industry, Bill’s career spans more than 30 years gaining him hands on experience in nearly every facet of the business including sales, leasing, investment strategies, property management and ownership. 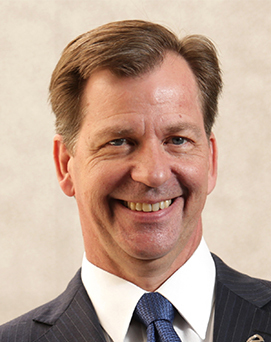 In 1993, Bill assumed the role of President of NAI James E. Hanson building on his exceptional depth of industry knowledge and pairing it with his natural leadership style to set a path of unprecedented growth for the company. Under Bill’s leadership and management, NAI James E. Hanson has grown to include over 70+ employees in two offices with a reputation of attracting and retaining some of the best in their field. Firm revenues have grown five-fold and the number of agents has tripled. Due to Bill’s fortitude NAI James E. Hanson has grown into one of the leading New Jersey-based full service independent commercial real estate firm completing over $350MM in transaction values and 260 transactions in 2017 and managing more than 6.5MM square feet of commercial real estate space.